Can Zoloft cause confusion in the elderly? Are there special concerns regarding Zoloft for seniors? These are questions you should ask yourself before starting any drug. However, it is important to understand Zoloft and any side effects or interactions that might occur more in seniors than younger populations. Zoloft, generic name sertraline, is an anti-depressant medication. Sertraline is approved to treat depression, panic attacks, obsessive compulsive disorders, post-traumatic stress disorder, social anxiety disorder (social phobia), and other conditions. 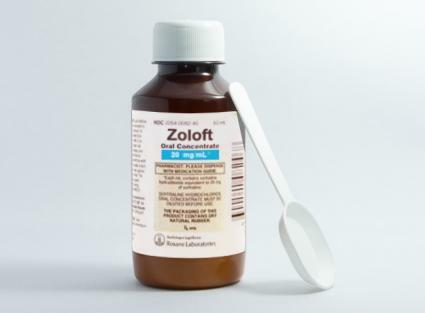 Zoloft is classified as a type of drug known as Selective Serotonin Reuptake Inhibitors (SSRIs). In simple terms, SSRIs, introduced in the late 80s, balance the brain chemical, or neurotransmitter, called serotonin. While not completely understood, depression and related conditions can result from too low or too high of levels of certain neurotransmitters, such as serotonin. Zoloft, a second-generation SSRI, introduced in the 90s, and similar drugs, such as Prozac, Celexa, and Paxil are designed to restore this balance and improve symptoms. Dry mouth: Many seniors already experience dry mouth and this side effect can intensify that sensation. Dizziness: Feelings of dizziness may be more troublesome for seniors, who are at a higher risk of injury should they fall. Fatigue: Some people find that aging brings a gradual decrease in energy and stamina. Medication-induced fatigue can make these problems worse. Tremor: Tremors are a potential side effect, especially in the first few weeks of use. Older adults, who may already experience some trembling in their hands when they reach for objects, may find this particularly troubling. Headache: Headache is one of the more common side effects of SSRIs, including Zoloft. These side effects and others may disappear within 1-2 weeks as your body adjusts to the medication. Be sure to discuss any side effects with a physician before and during treatment. Emergency treatment should be sought for more serious or concerning side effects, even if unlisted, following the start of a new medication. Many drugs can affect seniors differently than they do younger people. However, clinical trials of Zoloft suggest that side effects for Zoloft and seniors are similar to side effects for younger adults. There have been a few cases of hyponatremia, a salt imbalance in the blood. This problem seems to affect seniors more often than younger people. There may be a connection between hyponatremia and diuretic medicines or underlying medical problems. Warfarin (brand name, Coumadin): Zoloft can affect how this blood thinner works. People taking warfarin should be monitored closely when starting or stopping Zoloft. 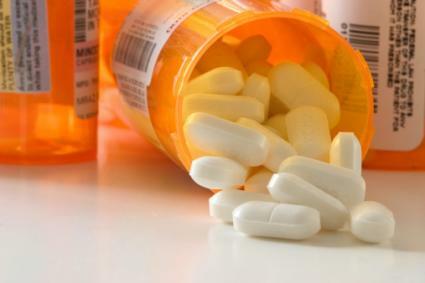 NSAIDs: Aspirin and non-steroidal anti-inflammatory drugs (NSAIDs), which include ibuprofen (brand name Motrin), naproxen sodium (brand name Aleve), and other common pain relievers, can cause bleeding in the stomach or upper intestines. Zoloft may increase this risk. People who have manic-depression or thoughts of suicide, women who are pregnant, and people who have a syndrome of inappropriate antidiuretic hormone secretion also should not use Zoloft. Like other antidepressants, Zoloft is available in pill form in several different dosages. There are no special dosing adjustments for seniors. This medicine is also available as a liquid. The liquid form can be useful for elders who are in poor health and have trouble swallowing pills. In older adults, who may be taking a number of different medicines for health problems, a review of prescriptions can sometimes reveal an underlying cause for depression. In these cases, treatment may be as simple as switching to a different medicine. Difficult life events, such as the death of a loved one, can trigger feelings of sadness and fatigue. Anti-depressants may not be an optimal choice in these situations: getting past these feelings may simply require time. A doctor can help determine whether a drug like Zoloft is indicated for depression or other symptoms. Zoloft is not the only choice for treating depression. There are several different types of SSRI's, and if these don't work there are other types of anti-depressants. Talk therapy, with a psychologist, therapist, or social worker, is also an option.